Six original compositions. Glimpse II for solo viola, Prisoner’s Cinema for five cellos, Clifton Songs for mezzo-soprano and piano, Guardian for bass flute and piano, Fades for solo flute, and Revenants for brass sextet. Daniel Zlatkin’s music has been played by the Da Capo Chamber Players, The Orchestra Now, The Brass Project, the Bard Conservatory Orchestra, and members of the New Haven Symphony. His music has been featured at festivals and venues including Music from Angel Fire and the Fisher Center for Performing Arts. Zlatkin’s influences include the composers Mahler, Schoenberg, Bartók, Stravinsky, Ligeti, Bernstein, Beethoven, and Ustvolskaya as well as the transcendentalist thinker Henry David Thoreau. He strives to write visceral music which glimpses into the unconscious and supernatural. 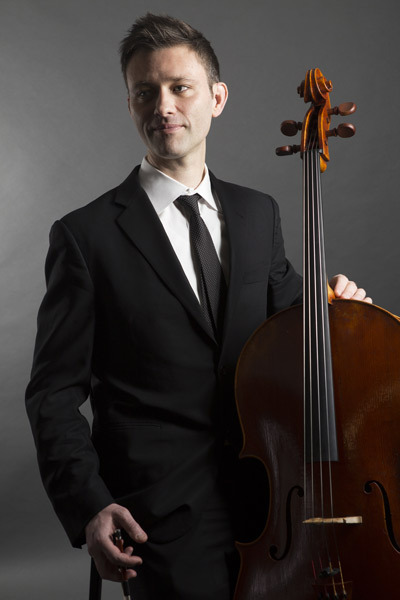 He performs regularly as a cellist, and has played with ensembles including the American Symphony Orchestra, New York Youth Symphony, and Contemporaneous. He was a finalist in the 2015 ASCAP Morton Gould Young Composer Awards. He is the recipient of numerous merit awards, including the University of Michigan’s Dorothy Greenwald Scholarship, and a Davis Projects for Peace grant. He holds a B.M in composition and cello and a B.A. in political studies from Bard College. Currently, he is working toward an M.M. in composition at the University of Michigan, where he studies with Michael Daugherty. With her Chinese premiere of Ge Ganru’s flute concerto, Fairy Lady Meng Jiang (fall 2013), Patricia Spencer added another exciting concerto to her list of major present day concerto performances – the New York premiere of Elliott Carter’s Flute Concerto in 2011; the world premiere of Shulamit Ran’s concerto, Voices, in 2000; the world premiere of Eric Chasalow’s chamber concerto, Three Love Poems, in 2006; and a performance of Joan Tower’s Flute Concerto for the National Flute Association Convention in 2004. The performance of Ge Ganru’s work took place on November 1 in Shanghai, at the Oriental Arts Center and with the Shanghai Philharmonic conducted by Zhang Liang. Previous career highlights for Ms. Spencer have included the US premieres of Karlheinz Stockhausen’s Kathinkas Gesang, and world premieres of Elliott Carter’s Enchanted Preludes and Harvey Sollberger’s Riding the Wind, among many others. Spencer has commissioned dozens of pieces, including Thea Musgrave’s now-classic Narcissus and Judith Shatin’s Kairos (Neuma Records). Spencer’s teachers include Robert Willoughby, Josef Marx and Marcel Moyse; she has studied Alexander technique with June Ekman. She teaches flute and chamber music at Bard College and Hofstra University. 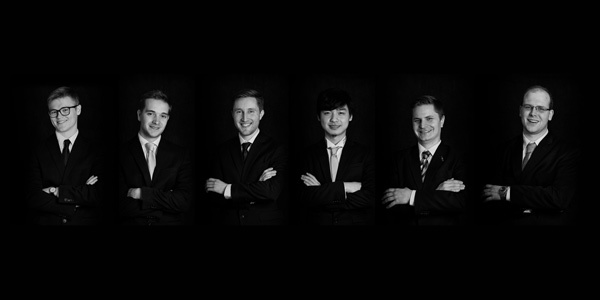 Spencer is a member of the Da Capo Chamber Players. “Vocal versatility and an omnivorous curiosity” (New York Times) are the hallmarks of mezzo-soprano Lucy Dhegrae, a passionate vocalist with a flexible technique that fits a variety of styles. She has performed with the International Contemporary Ensemble (ICE), Talea Ensemble, the Albany Symphony, among others, at such venues as Miller Theatre, Lincoln Center, and the Kennedy Center. 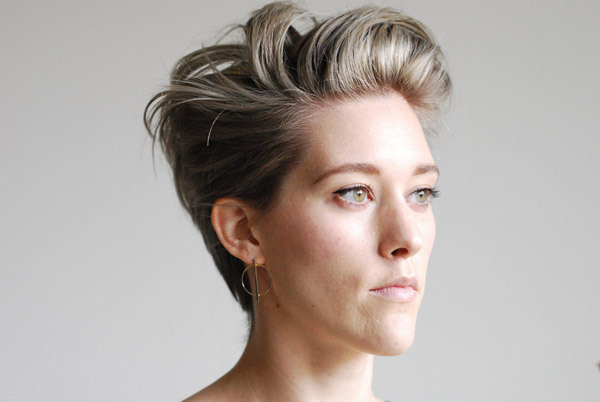 Dhegrae, who is “everywhere new music is being sung” (New York Classical Review) regularly premieres new vocal works and operas, and has worked closely with such composers as Unsuk Chin, Jason Eckardt, Susan Botti, Alexandra Vrebalov, and Sky Macklay. Her opera premieres include Trillium J by Anthony Braxton, Andy: A Popera (Opera Philadelphia/Bearded Ladies Cabaret), A Marvelous Order by Judd Greenstein, and Ashley Fure’s The Force of Things. Dhegrae’s festival appearances include Darmstadt (Germany), Klangspuren (Austria), Mostly Mozart, Bard Music Festival, Gesher Music Festival (St. Louis), and Aldeburgh Music Festival (as a Britten-Pears Young Artist). As “soprano and raconteur” (The New Yorker) she directs Resonant Bodies Festival, an annual festival of new and experimental vocal music, which she founded in 2013. She is on the faculty at the Bard College Conservatory Graduate Vocal Arts Program (where she graduated with an MM in Vocal Performance ’12), and is a core member of the new music ensemble Contemporaneous. She lives with her husband, composer Shawn Jaeger, in New York. 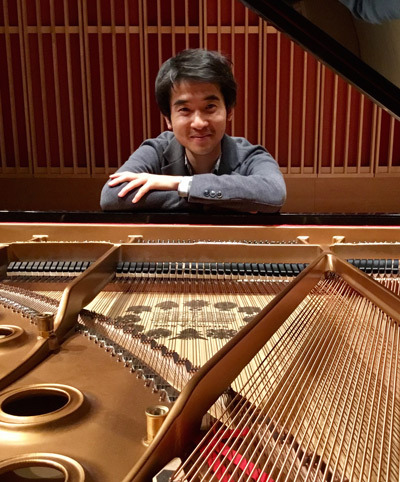 Born in 1990 in Yokohama, Tomoki Park studied at the Purcell School of Music UK, Berlin University of the Arts, and Bard College Conservatoryof Music, where he is completing the Advanced Performance Studies program with Peter Serkin. In 2006 Tomoki won the top prize at the 14th Young Artists’ Piano Competition in Tokyo and is a prizewinner at the 10th International Competition for Young Pianists in Ettlingen. Tomoki has performed widely across Europe, Japan and America, including his first concerto performance at age 13 in the United Kingdom and recitals in Tokyo’s Suntory Hall and Opera City, and London’s Wigmore Hall, St. Martin-in-the-Fields, and the Southbank Centre. Some recent engagements are his performances at Geneva’s Pierre Boulez Festival, a Mozart recital in Salzburg’s Solitär at Mozarteum, and Bach and Takemitsu Double Piano Concertos with Peter Serkin and the Sacramento Philharmonic. His teachers have included Pascal Devoyon in Berlin and Tessa Nicholson in the UK. 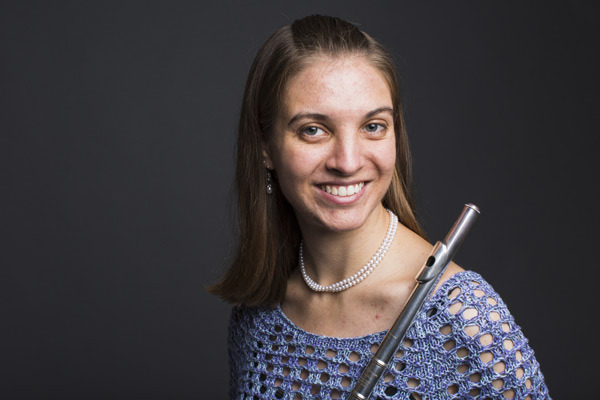 Hailed by the New York Times as possessing “rich tone and deft technique,” flutist Hannah Porter Occeña is the Principal Flute of the Topeka Symphony Orchestra (Topeka, KS); previous positions include Principal Flute of the Midwest Chamber Ensemble (Prairie Village, KS) and Associate Principal Flute of the Bismarck-Mandan Symphony Orchestra (Bismarck, ND). The 2012 Irene Burchard prizewinner at the Royal Academy of Music, Occeña has performed as an orchestral soloist, recitalist, and clinician throughout the US and abroad. Committed to the rich heritage and new horizons of the repertoire, Occeña strives to make classical works accessible and engaging to diverse audiences. Between her DMA studies and her orchestral and teaching responsibilities she participates in outreach concerts and programs at schools and community centers. Occeña was a commissioning member of the Flute New Music Consortium’s inaugural project, Confluence by Zhou Long, and will give a recital of newly commissioned works in February 2018. Occeña is a DMA student at Stony Brook University, where she studies with Carol Wincenc; she holds a Master of Music Dip.RAM from the Royal Academy of Music and a Bachelor of Music from the University of Missouri-Kansas City Conservatory of Music and Dance. 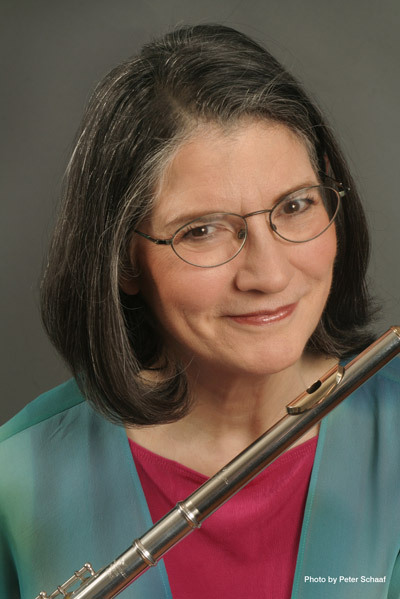 She lives on Long Island with her husband, Ryan, and their daughter, Veronica, and can be heard on New Beginnings: American and Australian Duos for Flute and Piano and Voices from the Middle with the Midwest Chamber Ensemble. Occeña is a Miyazawa Emerging Artist and plays on a Miyazawa Elite. Cellist Robert Burkhart has performed in Alice Tully Hall, Bargemusic, Carnegie Weill Recital Hall, Merkin Hall, The Rose Studio, as a soloist throughout Japan as a member of the New York Symphonic Ensemble, and been featured in recital on WQXR’s “Young Artist Showcase.” Robert works frequently with living composers as a member of the American Modern Ensemble and as guest artist with Argento Chamber Ensemble and SONYC. Recent collaborations include Georg Friedrich Haas, Aaron Jay Kernis, Steve Mackey, Joan Tower, Chen Yi, and Charles Wourinen. In 2007 he performed the New York premiere of John Harbison’s Abu Ghraib for cello and piano, and was the soloist in Augusta Read Thomas’s Passion Prayers for cello and chamber ensemble at the New York Times Center. Robert has taught at Syracuse University, Music Conservatory of Westchester, and been artist-in- residence at Yale University and the Banff Centre for the Arts in Canada. Violist Jiawei Yan graduated from Bard College with B.M. in Viola Performance and B.A. in Philosophy where she studied with Ira Weller and Michael Tree. 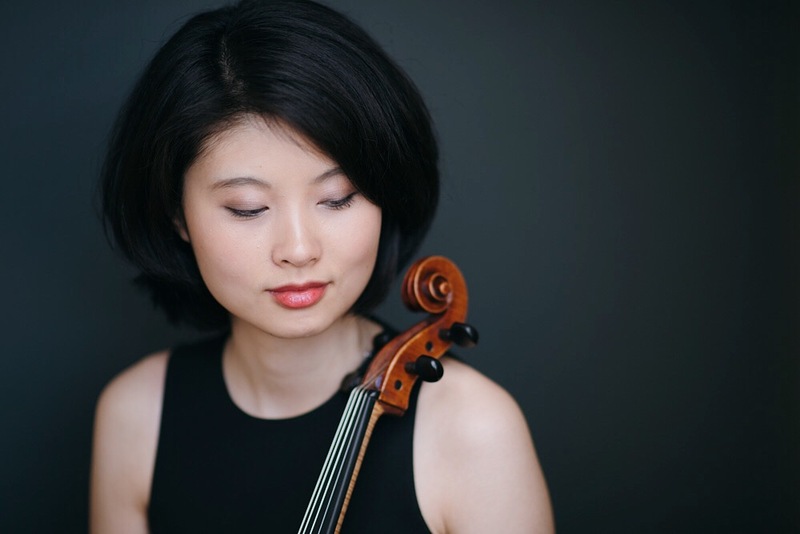 Jiawei was a finalist of Bard Conservatory Concerto Competition in 2014 as well as a finalist of Juilliard Viola Concerto Competition in 2015 while she is currently pursuing the master’s degree in Viola Performance at The Juilliard School as a student of Paul Neubauer. As an active chamber music artist, she has collaborated with her mentors Laurie Smukler, Marka Gustavsson, Raman Ramakrishnan, and Robert Martin. Jiawei was appointed to work at Juilliard as a chamber music mentor at String Quartet Survey Program. She initiated the concert series in Fordham University in Bronx, New York and had been performing and managing many interactive solo recitals and chamber music concerts since 2015. For orchestral music, Jiawei as principal violist of Bard Conservatory Orchestra and performed with Juilliard’s new music ensembles, New Juilliard Ensemble, AXIOM, Hartford Symphony Orchestra, Washington Heights Chamber Orchestra and New World Symphony in Miami. Jiawei performed at major concert venues of New York City, Beijing, Shanghai, Taipei, Hong Kong, Tianjin, Warsaw, St. Petersburg, Moscow, Budapest, Vienna and Berlin. In the past summers, she participated in Pacific Music Festival in Japan, PRISMA in Canada, Manchester Music Festival and National Repertory Orchestra. Apart from performing, Jiawei worked as an English tutor at Bard Learning Commons and an English-Mandarin translator in Oberlin Conservatory masterclasses in Beijing and The Little Performers International String Music Camp in China.